On September 25, MassCEC will launch the next round of our InnovateMass program, which awards startup companies up to $250,000 to help test ideas and bring products to the marketplace. We’re looking for the best and brightest to apply to our latest round of funding, so we wanted to tell you a bit more about the program and share some success stories about some of its graduates. InnovateMass is designed to provide support to cleantech companies in their endeavors to commercialize a product or service by allowing technology teams to perform product demonstrations. What are InnovateMass’ Basic Eligibility Requirements? MassCEC awarded IVYS Energy Solutions, based in Waltham $150,000 earlier this year. The funds support IVYS’s demonstration of an integrated solution of energy storage and zero-emission vehicular transportation. This project aims to deploy a system that combines electric fueling infrastructure (fuel cell vehicles and battery electric vehicles) with a solar-based energy storage system. 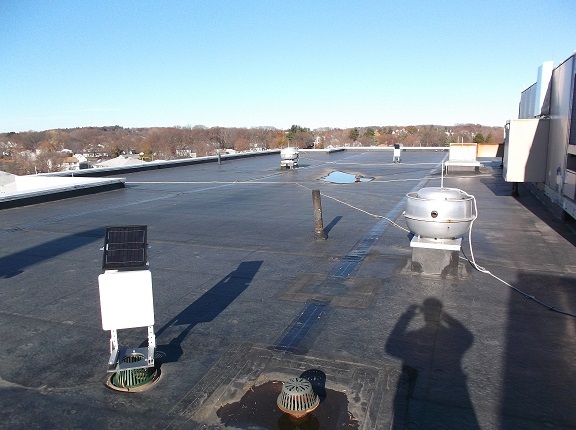 MassCEC awarded Newton-based RainBank, in partnership with the City of Lawrence, $31,140 to demonstrate its Smart Blue Roof Technology at Parthum Middle School. RainBank’s patent-pending technology converts passive rooftop drain systems into an organized and evenly distributed runoff collection storage system that can be used to hold significant amounts of water during peak storm periods. The system ensures that water from the rooftop will be deposited into a storm water disposal system only when there is sufficient capacity. This reduces the risk of flooding and treatment work failures.